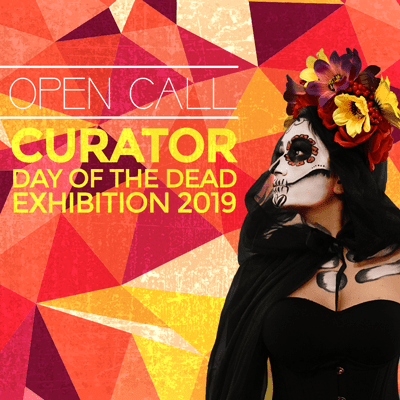 Curatorial project for our 33rd annual Day of the Dead Exhibition in Main Gallery. Three images of past curatorial projects. Jpeg (each jpeg 300dpi) attachments, or photos (no more than 16 images if printed) representing your best work. No slides. *Note: Web links preferred for viewing bio, CV, or current work. No Facebook links. Any submission missing any required elements will be disqualified and will not be reviewed. For further information, please contact the Gallery Coordinator at 415 643-2775 or send an email to gallery@missionculturalcenter.org.